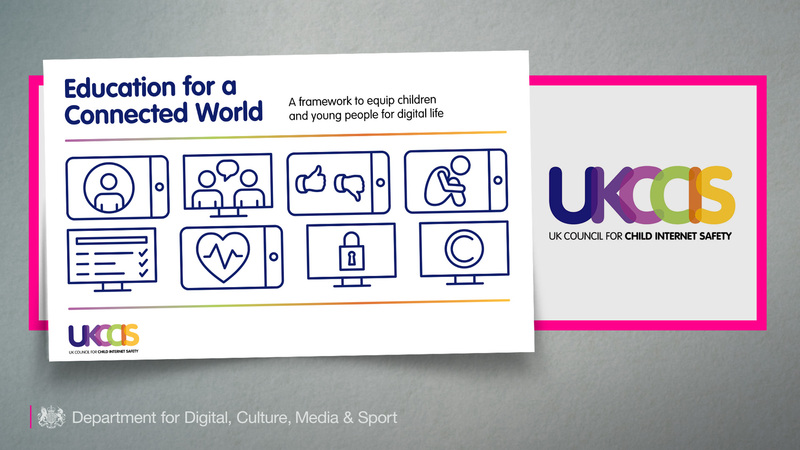 As part of the celebrations for Safer Internet Day 2018, the UK Council for Child Internet Safety (UKCCIS) have announced they have published a new online safety guide for those working with children, including school leaders and teachers, to prepare young people for digital life. The guide is available to download via the UKCCIS website or as a PDF here. The Framework has been developed by members of the UKCCIS Education Working Group. The UKCCIS Education Working Group brings together ten leading organisations in online safety in education:, Barnardo’s, CEOP (the child protection command of the National Crime Agency), Childnet, Department for Education, Kent County Council, the NSPCC, Parent Zone, the PSHE Association, South West Grid for Learning and the UK Safer Internet Centre. It focuses on how education settings in the UK are responding to the challenges of keeping their pupils safe online. Kent County Council’s Education Safeguarding Team are delighted to have been involved in the creation and shaping of the framework as part of the UKCCIS Education Working Group. We encourage all Kent schools, settings and professionals to access the framework and complete the consultation survey available to help provide valuable feedback from practitioners to ensure it is fit for purpose, and enables us to prepare children for life in a constantly connected age. Alongside the framework, the Prime Minister has announced plans to review laws and make sure that what is illegal offline is illegal online. The latest announcements follow the publication of the Government’s Internet Safety Strategy Green Paper last year which outlined plans for a social media code of practice. The aim is to prevent abusive behaviour online, introduce more effective reporting mechanisms to tackle bullying or harmful content, and give better guidance for users to identify and report illegal content. The Government will be outlining further steps on the strategy, including more detail on the code of practice and transparency reports, in the spring. This entry was posted in 2018, Colleges, Colleges and sixth forms, Curriculum, DCMS, e-Safety, Early Years, Education Leaders and Managers, Framework, Independent Schools, Internet Safety Strategy, Online Safety, Policy, Primary, Resources, Safeguarding, Safer Internet Day, Schools, Secondary, Strategy, UKCCIS and tagged Colleges, Curriculum, Early Years, EYFS, Framework, KS1, KS2, KS3, KS4, Primary, Schools, Secondary, UKCCIS. Bookmark the permalink.